Personal vehicle is a necessity in our daily routine. Public transport is easy on the pocket but at times it cannot rely on punctuality and safety of an individual. In case, you have a meeting for your presentation on which you invested your endless day and night. On presentation day you left from home before time to catch bus for your office. But, due to rush or late schedule bus, you miss it. You look for alternate transport option but, it all make your work hard instead of easy and you get late for your office. But if you have your own vehicle, you can reach your destination on time and with full comfort. Car saves you from all odd transport odd conditions, so you should also give your input to save and secure your vehicle. Car insurance is the best possible way to take care of your expenses that arise during an unfortunate event like the accident, third party liability during accident or theft. Car insurance assists policyholder during financial emergencies that occur because of mishaps. Any bodily injuries that are caused to the driver and co-passenger and reimbursement for the damage or loss that is caused to the third party during an accident. There are various insurance policies and many insurance companies. One should be far-sighted while choosing one insurance plan as it is the only thing that will matter in your time of need. You should be aware of your need and requirements from an insurance plan to avoid any glitch in the hour of need. • Car insurance offer covers against loss or damage to the insured car. • It offers cover and reimbursement for various unavoidable risks like damage caused to the vehicle by accident, theft, fire, explosion, strikes or natural calamities. • It offers coverage against various financial ups and downs that an individual face due to third-party damage or loss. • One can get personal accident cover by car insurance for a security cover during any car accident. This insurance policy is especially for the third person liability security. It is normally not between the insurer and the insured but for a third party who can be anyone affected during the accident of an insured car like fare paying or non-fare paying passenger or any pedestrians. Under this plan, passengers of private vehicles and pillion riders are also covered considerably. In case of death or injury, liability cover is unlimited. As this plan do not offer a wide cover so this insurance plan is affordable. 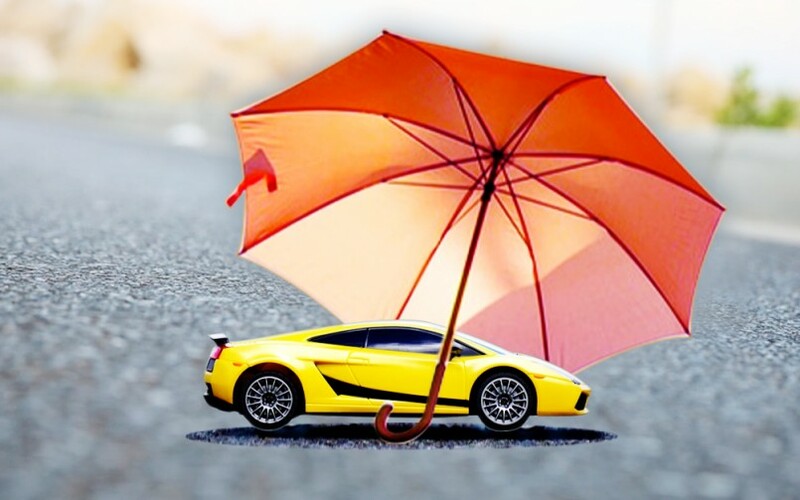 You can take help of PolicyX to choose the best car insurance plan according to your needs. Comprehensive Car Insurance Policy - This is the umbrella cover against all loss and damage that result due to an accident of an insured vehicle. It protects the insured vehicle against any loss or damage that is caused due to man-made calamities like theft, riot, strike or rt., or natural calamities such as fire, lighting, flood, storm etc. This plan also offers a personal accident cover for the owner and passengers of the insured vehicle. Above all, it also offers third person liability cover so one does not need to buy it separately. But, the premium amount of the plan is also high as compared to other car insurance plan because this plan offers an overall protection cover during the car accident. One can also enjoy various add-on covers at an extra premium amount. There are many options but only a car owner know what kind of protective cover he/she is looking from and what are the requirements for the same. One should compare various factors like premium amount and claim ratio of various car insurance policy before settling. Third party car insurance cover or a comprehensive car insurance policy, one should opt any based on their need.